Ibrahim Khalil Jewel: The trade conflicts between the United States and China will benefit Bangladesh apparel production and exports. Since China’s exports to the US will plunge and it will lose competitiveness, and the supply chain will be affected, emerging trade relations could offer an opportunity for Bangladesh to increase its export and capture greater space in the global value chain. 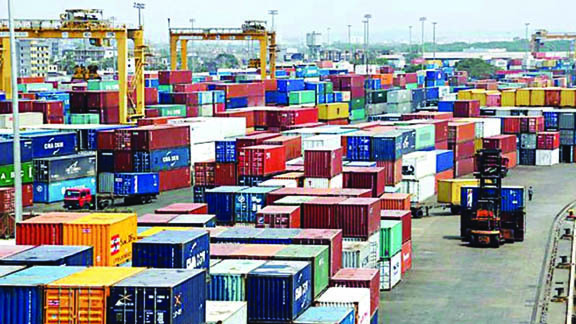 In the next two years, overall exports from Bangladesh can fetch an additional $400 million under the escalation of trade conflicts and GDP can grow by 0.19 per cent in the same period. Of the $400 million additional export earnings, $300 million are expected from the textile and garment sectors. The apparel sector is likely to benefit the most from the trade tariff tension. Leather and leather goods and ICT may also prosper. Business may relocate to Bangladesh and other Asian countries. Already for the last few months, new export orders are coming into Bangladesh. For January to November 2018, Bangladesh’s exports to the US market were up by 5.72 per cent. Apparel exports to the US market jumped six per cent in the same period.